Frontback, the mobile app that first takes a photo with your rear camera and then with your front camera to ostensibly catch your reaction, is shutting down. The app will cease to exist in its current form on August 15. While we’ve seen exciting results with some communities, for most of the new members it takes too much time and effort to understand why Frontback is different, resulting in an infrequent use of our product. After discussions with our team and investors, we realized that we couldn’t reach the critical numbers that would make Frontback a sustainable social network. 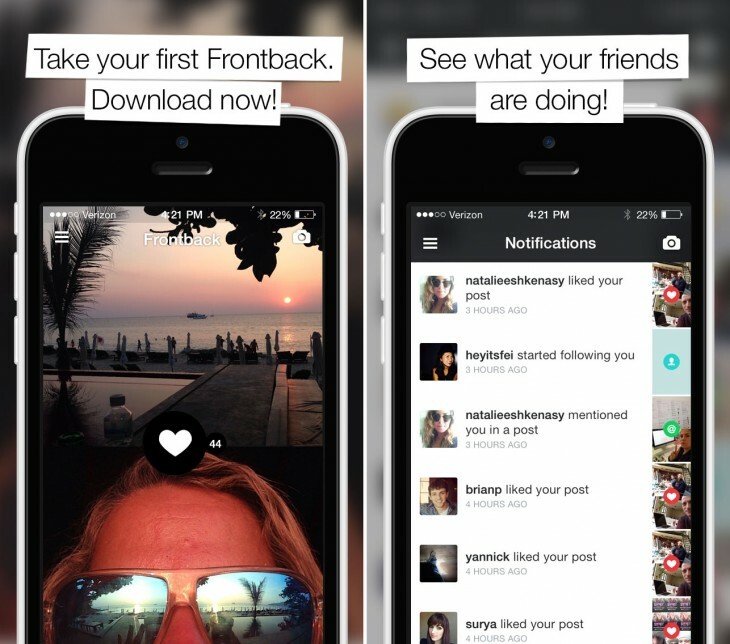 Frontback, which was founded in 2011, has received a total of $3.5 million from investors. The most recent was a $3 million seed round in 2013, which included participation from Reddit co-founder Alexis Ohanian. Frontback users will be able to download their photos until September 15, 2015. The iOS app will continue on as a photo app with no social network or feed, and the Android app will be removed from the Google Play store.